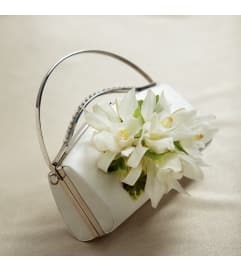 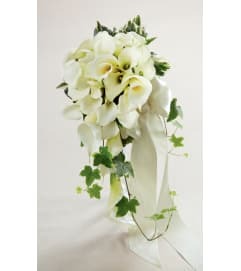 The FTD® Notions™ Floral Purse is a beautiful accent piece to complement the overall wedding party look. 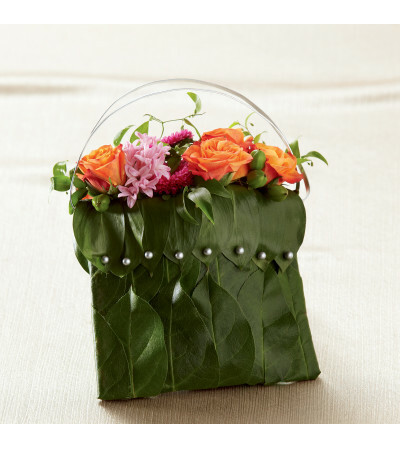 Lush green leaves are cleverly arranged to create a "purse" of flowers, including orange spray roses, pink hyacinth, fuchsia matsumoto asters, and green hypericum berries. 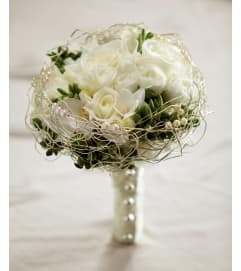 Set to be held from a silver flat wire and accented with silver pixie pearl pins, this is a sweet arrangement that adds interest and flair to your bridal style.